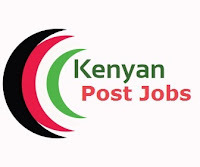 We are seeking to recruit qualified, ambitious and an experienced person to fill the position of Secretary / Administrative Assistant for Nairobi office. · Providing reports in the command chain and providing secretarial and clerical services in the organization. You will be required to know the formal and informal departmental goals, standards, policies and procedures which may include some familiarity of other departments within the organization. · You will also be required to understand the interrelationship of both people and functions within the departments to carry out duties and responsibilities with limited supervision. Makes decisions and establishes work priorities on essentially procedure-oriented operations. · Exchange non-routine information using tact and persuasion as appropriate requiring good oral and written communication skills. · Assist in the planning and preparation of meetings, conferences and conference telephone calls. · Operates office equipment such as photocopier, scanner machine, and laminating machines; coordinates the servicing of equipments. · Operates personal computer to access e-mail, electronic calendars, and other basic office support software. · Completes various request forms for office supplies and equipment as directed. · Assist the accountant in remitting staff statutory deductions to the relevant authorities. Please submit a resume to gnyaberi@rhinoagrimac.com not later than September 07, 2018.